In 1905, at the age of sixteen, Frank Godwin began working at The Washington Star where his father was the city editor. That would suggest his later into comics was fueled by his father's connections, and while that certainly may have helped, it was really the friendship that he struck up with James Montgomery Flagg while the two studied at the Art Students League that would turn out to be more beneficial to his career. Flagg was an exceptionally talented artist in his own right and went on to paint the famous "I Want You" poster featuring Uncle Sam, as well as dozens of other well-known propaganda posters for both World Wars I and II. 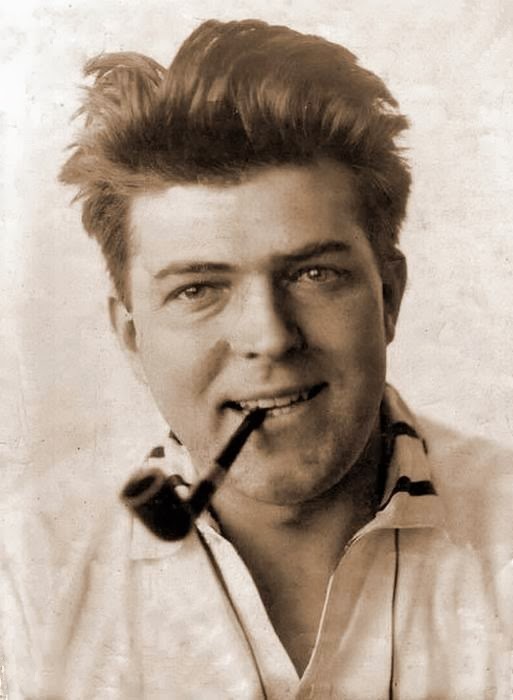 By 1908, Flagg had helped secure work for the weekly humor magazine Judge. It was Godwin's own talent cemented his position there, and he was contributing to nearly every issue within a few years. By 1920, Godwin was being regularly sought out to do a variety of illustrative work, doing covers for the likes of Liberty and Ladies' Home Journal. It was this work that caught the attention of publisher David Mckay, who hired Godwin to provide spot illustrations for new editions of Treasure Island, Robinson Crusoe, Robin Hood, and other classics. It's been suggested that these illustrations, particularly those for King Arthur, were influential to Hal Foster, who went on to create Prince Valiant. Seeing a decreasing call for illustrative work of the type he was known for, Godwin switched gears somewhat. Doing work for the Philadelphia Public Ledger's new syndicate, Godwin began working on a new comic strip, Connie, in 1927 at the age of 38. The strip was unusally progressive for its time, depicting "a liberated woman: intelligent, self-reliant, at ease in all situations... holding her own against any man..." according to Maurice Horn in The World Encyclopedia of Comics. It was also one of the few comics to depict the very real effects of The Depression, showcasing Connie volunteering for charities and visiting men in bread lines. The strip proved reasonably successful and ran for seventeen years. In 1938, while still working on Connie, Godwin was asked to take over the art duties on Roy Powers, Eagle Scout from departing artist Kemp Starrett. (It was written by Paul Powell for both Starett and Godwin.) It was another strip syndicated by Ledger and it was certainly Godwin's existing connections there that got him the job. Godwin worked on both strips simultaneously until they were cancelled, Roy Powers in 1942 and Connie in 1944. In late 1944/early 1945, Ayn Rand personally selected Godwin to illustrate a serialized version of The Fountainhead just as he was winding up working on Connie. He also was doing some ad work for Texaco when he found himself trying his hand at comic books. 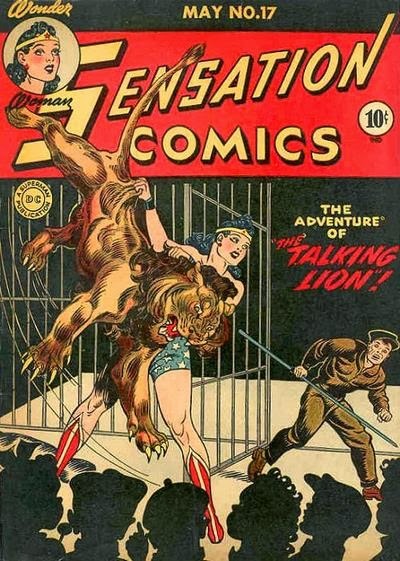 He drew several Wonder Woman stories in Sensation Comics, as well as pieces in Comics Cavalcade and a variety of Lev Gleason's crime comics. Godwin returned to comic strips in 1948 by co-creating Rusty Riley, written by Rod Reed. A Sunday strip was added a few months later, this one written by Godwin's brother, Harold. Rusty was distributed by King Features and, although the strip featured some superficial similarities with Little Orphan Annie, it was not generally seen as a direct competitor of the Tribune strip. Godwin continued working on the strip until his death from a heart attack at age 70 on August 5, 1959. The final strips were drawn by Bob Lubbers, who later recalled, "Sylvan Byck at [King Features Syndicate] asked if I'd do the last two weeks in Godwin's style to end the series." The final daily strip appeared on September 19 and the final Sunday strip on November 8. For whatever reason(s), Godwin's work has not been reprinted much and he's not widely known today. His influence can be seen in the likes of Frank Frazetta and Alfredo Alcala but as Jim Vadeboncoeur Jr. noted, "Godwin's place in illustration is well secured, but his place as one of the premier penmen of the century has yet to be declared."